OnePlus 3T is the successor to the most popular OnePlus 3 smartphone. The OnePlus 3T smartphone is more like a bumped up OnePlus 3 with more powerful specs. The device sports the Qualcomm Snapdragon 821 chipset, 16 MP front camera (Selfie lovers can’t ask much), a bigger battery, a new 128GB variant along with another color model in the form of gunmetal. Well, as you can see it’s a beefed up OnePlus 3 and the best thing is the price margin is not much. 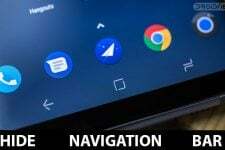 OnePlus devices always manage to grab the developer’s attention due to its user-friendly system. Developers have already managed to install TWRP recovery and root OnePlus 3T. Once you’ve installed TWRP and rooted your OnePlus 3T, you can choose from unlimited mods and ROMs to make your device more functional. Thanks to XDA developer jcadduono who developed the unofficial TWRP for OnePlus 3T. The installation process is quite safe but you need to be careful while rooting your device. 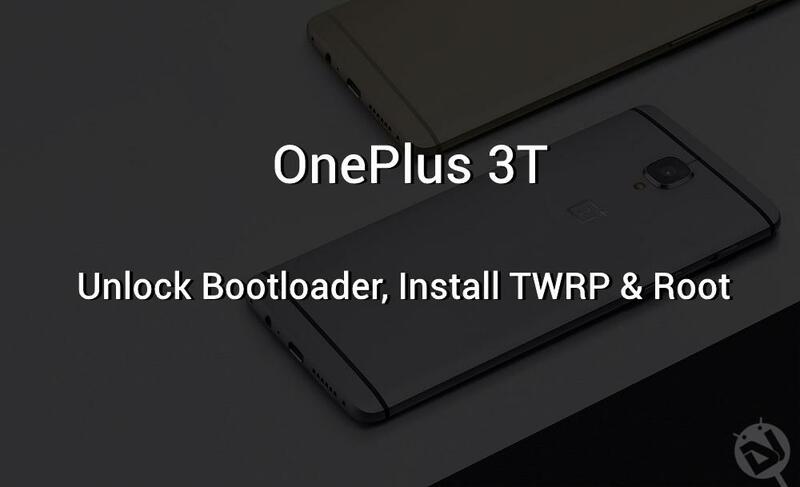 The OnePlus 3T stock boot image has dm-verity which prevents you from booting if you swipe to enable system modifications in TWRP. So, follow the instructions carefully to install TWRP and root OnePlus 3T without ending in a boot loop. Go to Settings> About phone> Build number and tap it 7 times to enable Developer options on your device. Then go back to Settings> Developer options and enable USB Debugging and OEM unlocking. Download the Minimal ADB and Fasboot Setup and install it on your computer. 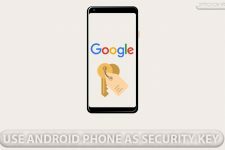 Backup important files on your device to a safe place as unlocking the bootloader will format your entire device. Make sure you have enough charge on your device before starting the process. Navigate to the folder where you’ve extracted the ADB and Fastboot files and open a command prompt by pressing Shift + Right-click on any empty space inside the folder and select Open command window here from the context menu. Use the below command to reboot your device to bootloader/fastboot mode. In fastboot mode, use the below command to check if your device is connected or not. It should return your device serial number if everything’s good. 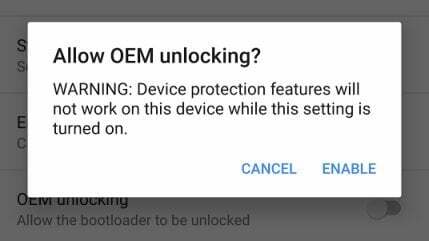 Unlock the bootloader on your device using the below command. This will format your entire device. So, make sure you’ve backed up everything on your device. 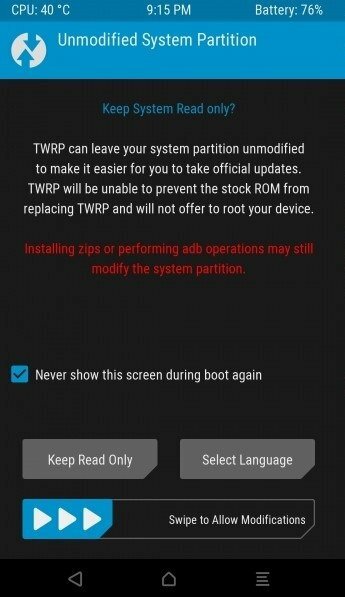 Now, you can proceed with the TWRP installation and the rooting part. Download the TWRP fastboot image from the Downloads section and transfer it to the same folder where you have installed ADB & Fastboot files. Rename it to twrp.img for your convenience. Now, flash the TWRP recovery on your device with the below command. Temporarily boot your device into TWRP recovery using the below command. 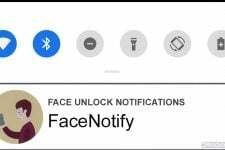 [Important] At this point, you will see the below screen which asks “Swipe to allow modifications.” If you do this, you’ll trigger dm-verity and if you don’t follow the next steps carefully, you won’t be able to boot your device. Since we’re going to root the device, you can check the “Never show this screen again” box and swipe to allow modifications. Download the SuperSU Zip and transfer it to your OnePlus 3T smartphone without leaving TWRP unless you wish for a boot loop. In TWRP, click Install and select the SuperSU zip and flash it. That’s it. It will take some time for the device to boot and it may also reboot a few times during the process. Once the device is up, you can see it rooted.